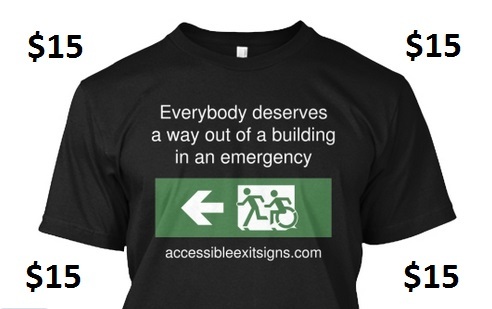 Over the past two years Lee Wilson, founder of The Accessible Exit Sign project has been researching the area of evacuation considerations for people with disability. Following the initial review he released a Guidebook titled “Evacuation of People with Disability & Emergent Limitations: Considerations for Safer Buildings & Efficient Evacuations”. Since the 1st edition release in July 2014 the Guide has been downloaded as a PDF document over 900 times and shared in countless workplaces around the world. The Guide has also been featured in the International Fire Protection Magazine, both in the May 2015 printed magazine and on-line. The online article continues to link to the download page. This Guide is now currently being updated and is due for re-release on 19 October 2015. This date will be a few days after the Association of Consultants in Access Australia Conference (7-9 October 2015). Lee Wilson is also presenting the Universal Design meets the Exit Sign White Paper at the conference and will be promoting the Guide in the presentation. The 2nd edition of the Guide will contain approximately 165 pages in total, including useful information and considerations for all building occupants, including people with disability, the elderly, the young and any other person who might find it a little difficult to leave a building in an emergency. For a limited time until 12 October 2015, Lee is offering sponsorship opportunities for companies willing to partner with him. He needs resources to convert the Guide to other accessible formats, and to a dedicated website, and can offer great exposure for your company or services if you help. Note – this a 5 YEAR COMMITMENT! You have the opportunity to advertise your company on a national and international platform for a minimum of 5 years. You will provide some important funding to continue my campaigns and programs to spread awareness of disability egress issues and fund the hosting of my websites. Revenue from sponsorship also helps to fund conversion of the Guide into other accessible formats, for everyone’s use. You will already be active in the area of evacuation, emergency management, building surveying, fire engineering, disability access, evacuation devices etc. and have products or services that complement the subject matter. The Guidebook will remain a FREE download for a minimum of 5 years. He will list your name or company under a ‘Sponsors’ heading of the PDF document, located in the Preface section (before the Table of Contents). Your actual advertisement will appear in your selected location of the document. He will leave your advertisement and listing in the Guide for at least 5 years, as there is no intention to update this Guide in the near future again, so your details will remain in the Guide for a minimum of 5 years. That presents as a good investment. He will also add you to a list of Evacuation Guide Sponsors under the main menu on the Accessible Exit Sign Project website where the Guide is available. He will include a company name, company website and a small 250px x 200px image of your choosing to this page. This webpage is already live and waiting for your details. Your details will remain there for at least 5 years. Please note that Lee holds discretion to what is considered acceptable content and may not accept any company name, service, or artwork that does not align to the Guidebook subject matter.  All advertisements will have the word Advertisement placed above. Full page, half page and quarter page sizes are based on A4 page sizes, being 2480 x 3508 pixels. Half page and quarter page size advertisements to be supplied in high resolution .JPG or .PNG file formats. Half page and quarter page size advertisements will be located in the best possible position within the text to optimize your advertisement. Full page size advertisements can also be supplied in .PDF file formats. Companies may choose to select multiple options to achieve maximum exposure. A tax invoice will be supplied to all Sponsors. Payment can be made via PayPal or EFT.